We take part in Athletics, Swimming and Cross Country Competitions with many schools (triangular matches etc.). How can I enter the fixtures and the results for these? If your school takes part in competitions, festivals or tournaments on the same date against several opponents then we recommend adding a competition fixture against an unlisted opponent. 1. Login to your SOCS control panel. 2. Navigate to your sport and team and then add a fixture in the normal way. Note: Help is also provided via the ? button. If you use Team Sheet Builder you can also add your selected team to the competition fixture in the usual way. Fixtures of this type are not linked to an opponent and therefore there will be no opponent venue location map in your Opponent's Maps and Links section on your sports website. 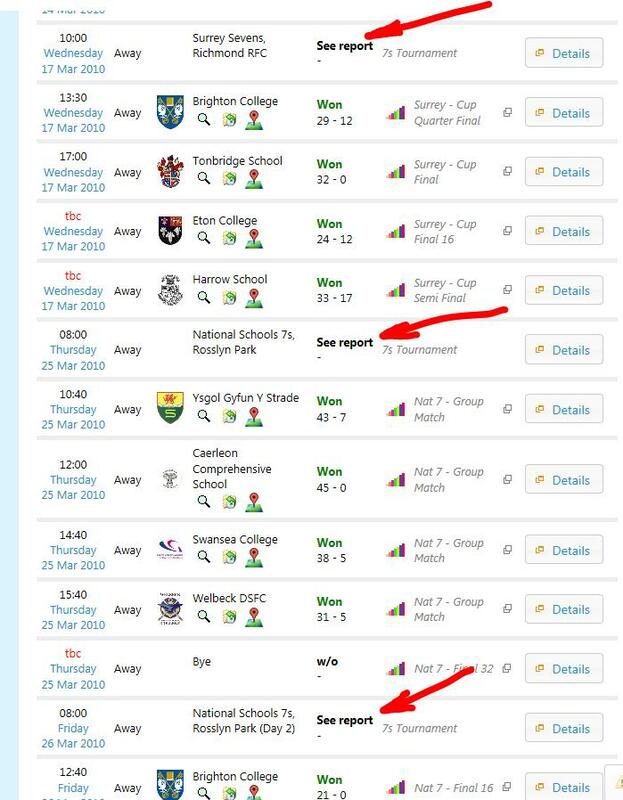 If you need to specify a location for "away" competitions, to help parents and followers find the venue, then it is best to add a preview report to the fixture. This might include a short description of how to get to the venue or a link to the competition's website. When you add the result to this type of fixture you can also add a report and perhaps mention the winners or notable performances. This type of fixture is also useful for Competitions or Tournaments where you might not know in advance which teams you will be playing, but you do know the date and start time. You can therefore add the competition to the sports calendar to ensure parents and followers are able to plan ahead. 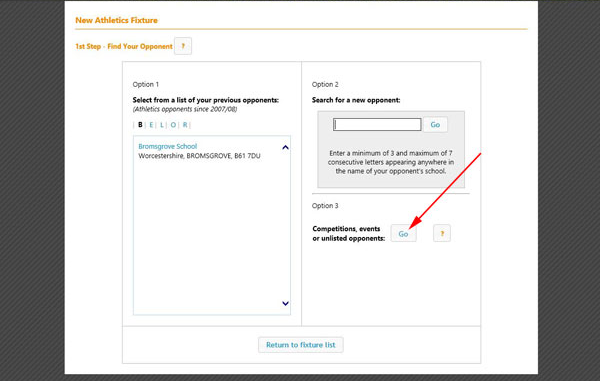 You can then insert all the matches against the schools you competed against during the competition (if you can get online) or afterwards. You can also edit this type of fixture and manually set the Result to read "See Report" as shown in the example below. Note: Ensure to set the start time of the competition fixture to the very start of the festival or tournament and to occur before the first match so that it appears in the correct place (above the other matches) in your fixtures and results listings. You can then add a match report to this fixture to cover the entire tournament, perhaps to highlight notable performances etc.